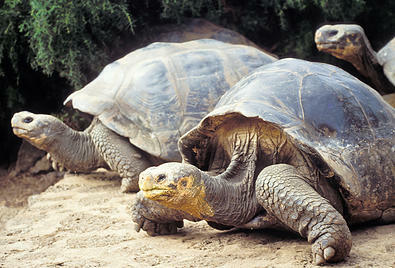 You’re heading to one of the most pristine and fascinating places in the world: the Galápagos Islands. The remote islands, lying nearly 1,000 kilometers west of South America, are known for their lunar-like landscape and unique wildlife. So a cruise ship just isn’t going to cut it on this trip. You need to see, touch, and smell the islands up close. You need to stay on Floreana Island. Floreana Island was the first of the Galápagos Islands to be inhabited. You would never guess it today. The smallest and one of the southernmost islands became a pirates’ lair in the 17th century. When whalers arrived, it was called Charles Island after England’s King Charles II. Later, it was renamed after the first president of Ecuador. Less than 150 people live there now, which makes it the ideal secluded place to immerse yourself. The Floreana Lava Lodge sits on an isolated bay away from anything that could be considered a crowd. The small lodge, which can accommodate no more than 30 people at one time, is focused on slow tourism and natural wildlife encounters. 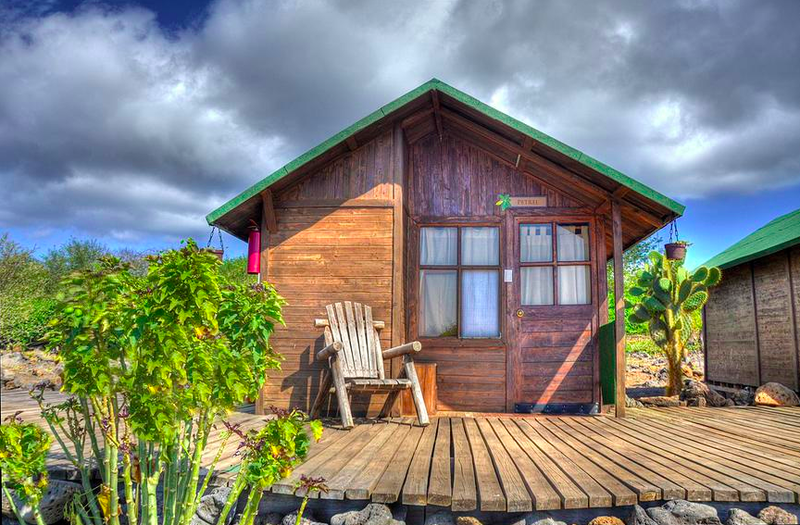 Each simple wooden cabin has two twin beds, a shady reading area, and a perfect view of the ocean. Solar panels provide electricity. Breakfast is served in an open-air gazebo. The common area is the perfect place to watch the sun set over the Pacific. While two nearby beaches, one white sand and one black sand, have tidal pools, snorkeling spots, and, oh yeah, sea lions. After arriving at the lodge and stashing your bags in your cabin, it’s time to start exploring. On a guided hike, learn about Floreana Island’s history, people, and wildlife. Cerro Pajas, an extinct volcano and the island’s highest point, is always visible. Spiky marine iguanas blend in with the dark rocks. Then loud barking interrupts the otherwise peaceful setting. The sandy trail leads to La Lobería, a beach where Galápagos sea lions breed. They seem to be having fun sunbathing, swimming, and waddling across the sand. You’re having more fun just watching them. The next day, ride a chiva (open-air bus) to see the rest of the island. Learn about the Enigma of Floreana, involving mysterious deaths that have never been solved. Hike to Asilo de la Paz (Peace Haven) to see pirate caves, a freshwater spring, and dinosaur-like Galápagos giant tortoises. Watch hundreds of frigatebirds wash their salty wings in the fresh water near La Primavera. See where the island’s first inhabitants lived in Las Palmas. Snorkel through the underwater volcanic cones at Devil’s Crown. Walk past Punta Cormorant, a green olivine beach, to see a lagoon full of flamingos. And don’t miss the post office, where since 1793, visitors have left their own mail and taken others to hand deliver around the world. You’ve seen sea lions and giant tortoises, frigatebirds and blue-footed boobies, manta rays and Sally Lightfoot crabs during your time on Floreana Island. You went snorkeling, kayaking, and even paddleboarding. You watched the sun rise over one side of the island and set over the other. Plus you gazed at the full moon and the star-filled sky before falling asleep each night. You’ll never look at the world the same way again after getting up close and personal with the Galápagos Islands.